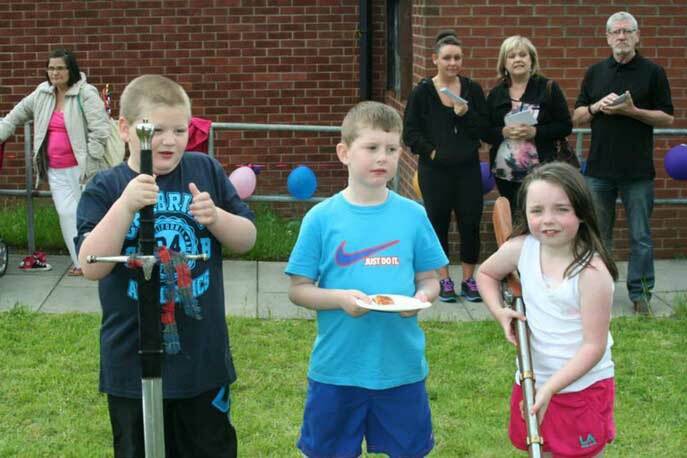 Our annual Robroyston Fun Day had been cancelled, due to there not being enough staff available. 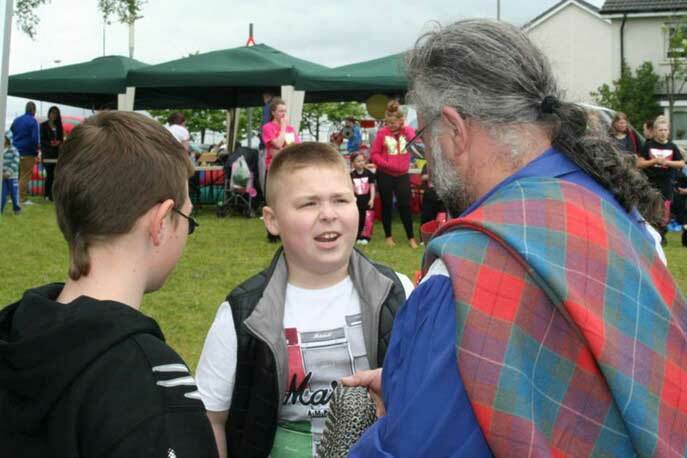 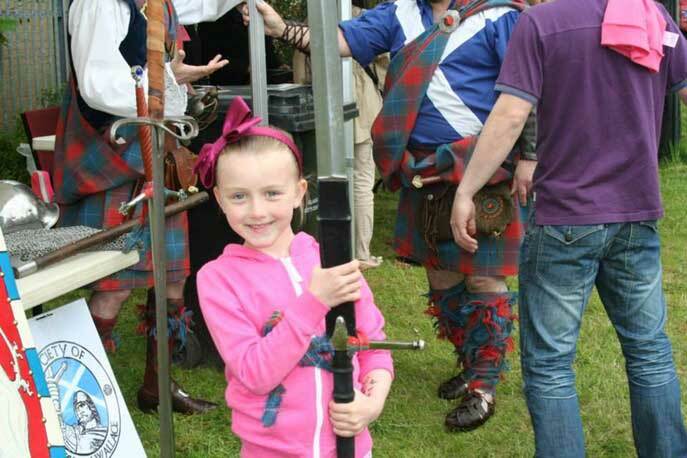 However, our details had been passed on, & we were asked to attend Barmulloch Gala Day instead & what a braw day it was! 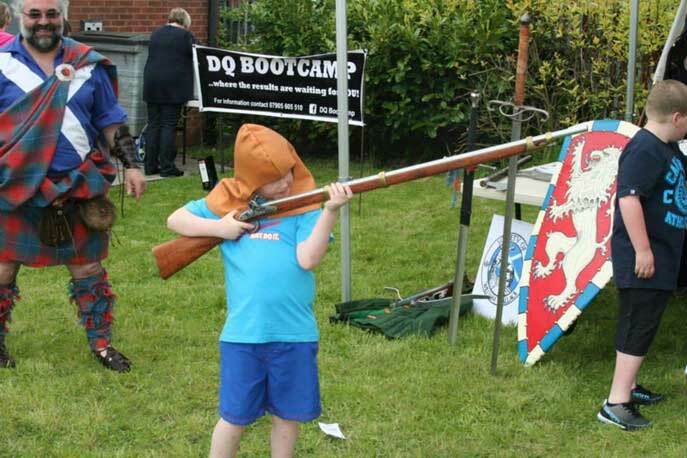 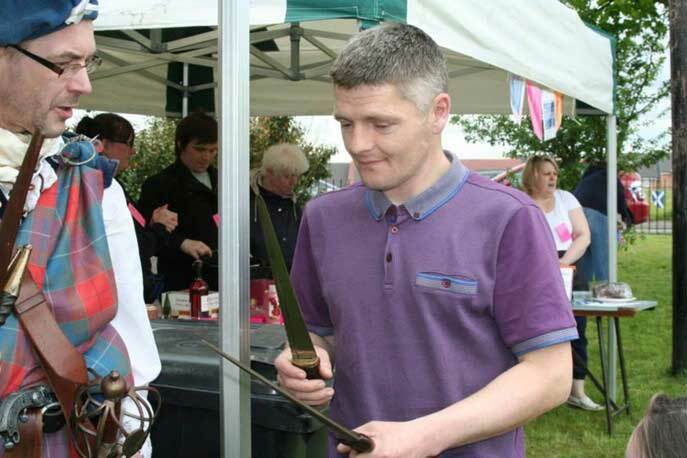 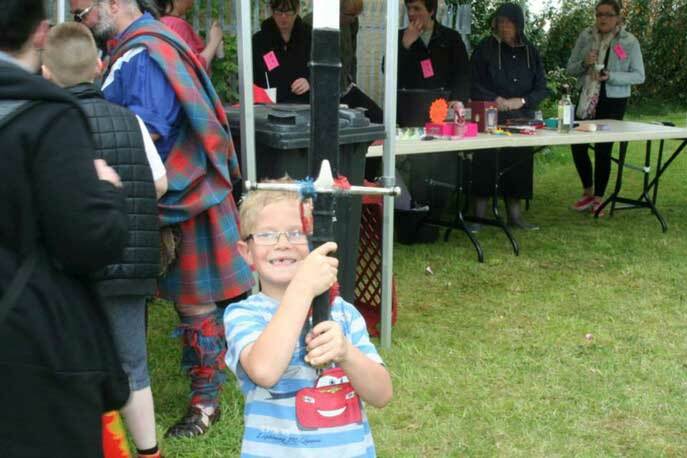 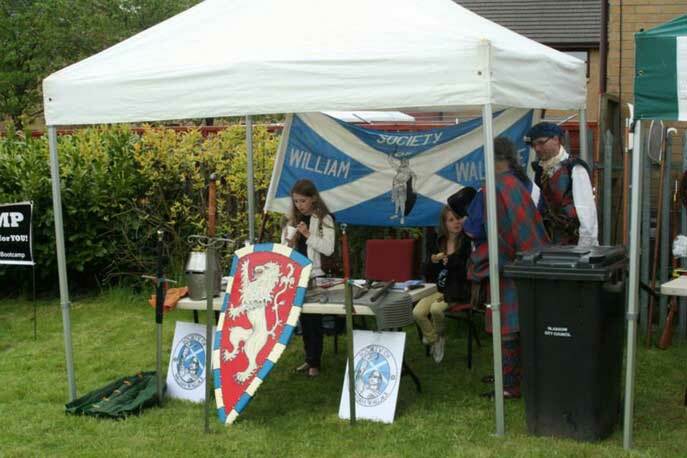 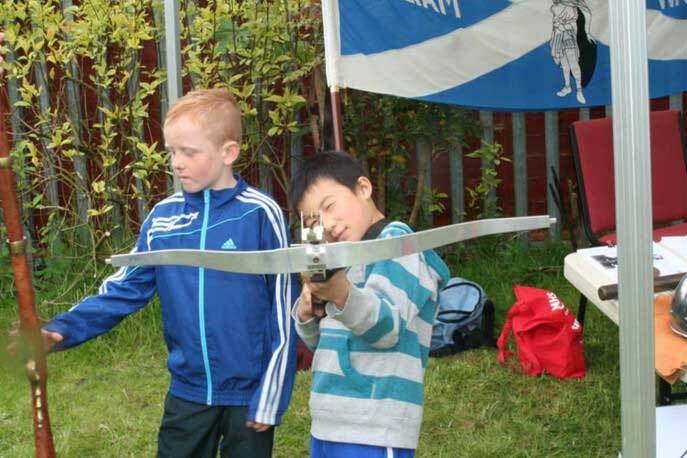 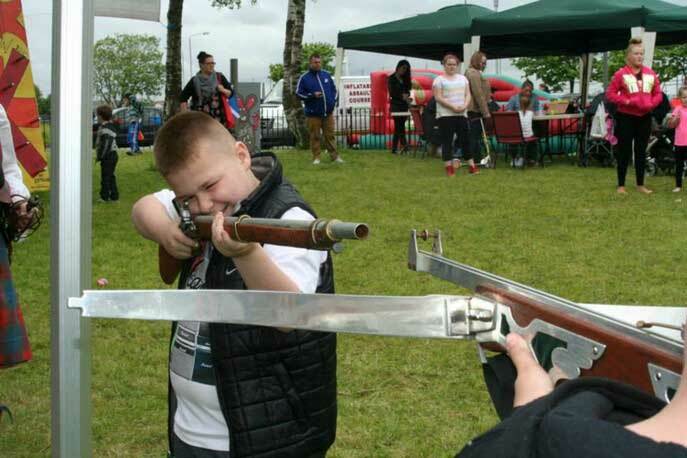 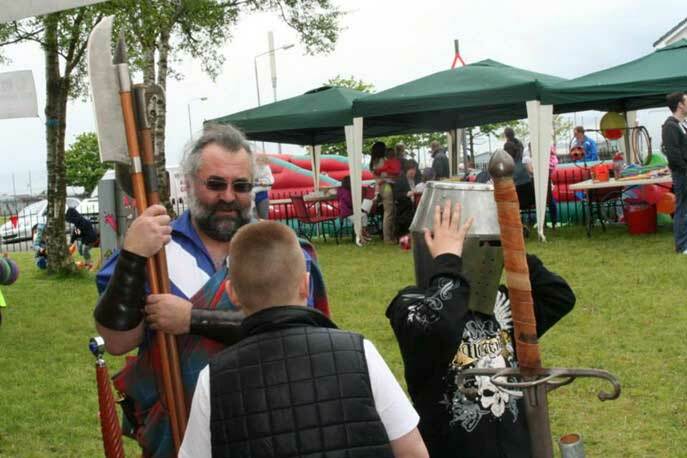 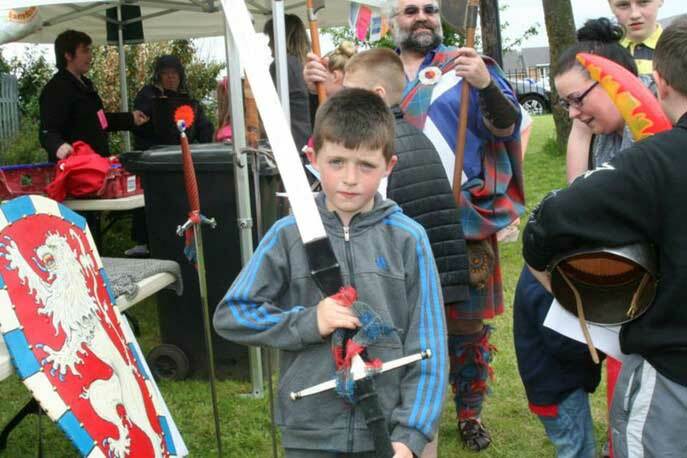 The weather held firm & the kids & the adults showed a lot of interest in our tent displays & the weapons, aye - especially the weapons! 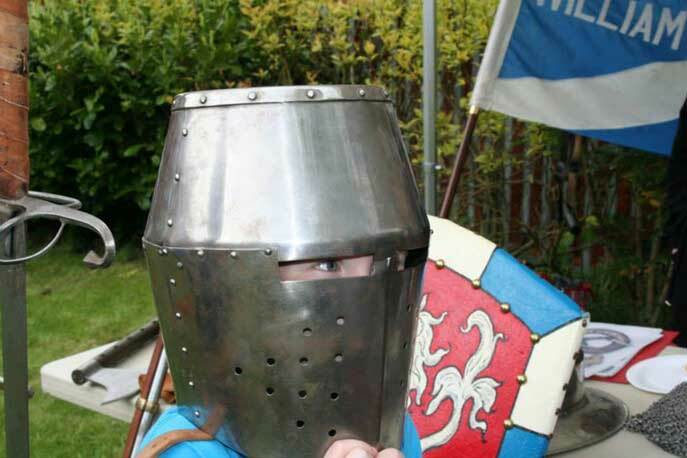 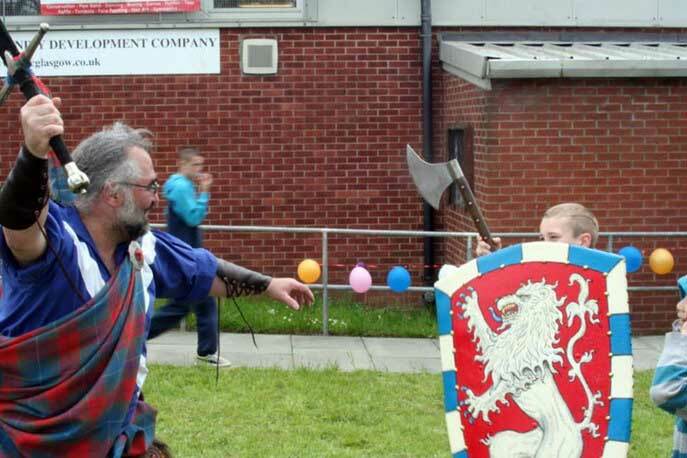 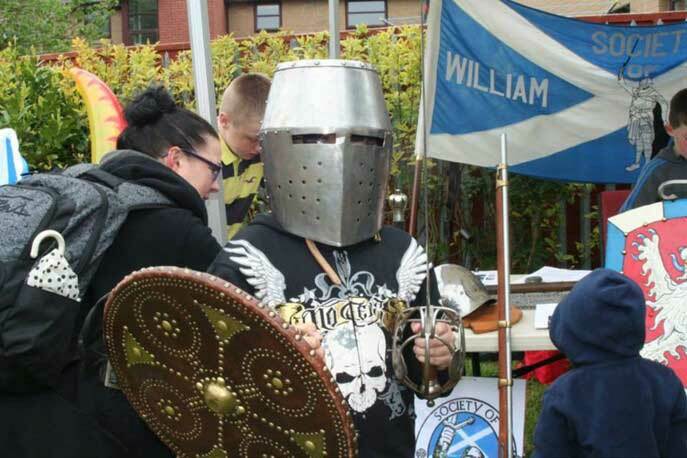 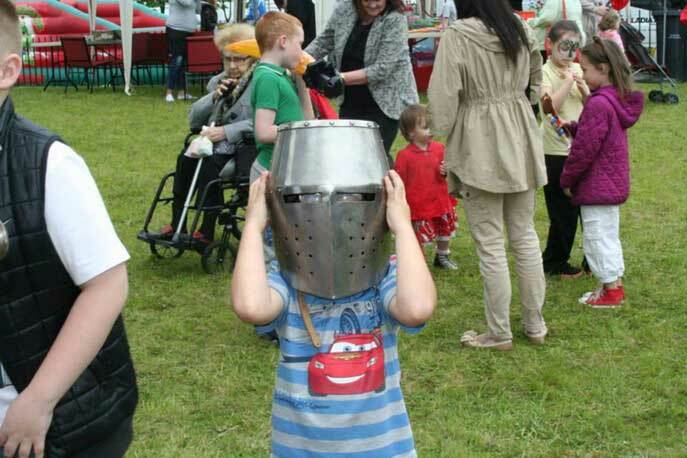 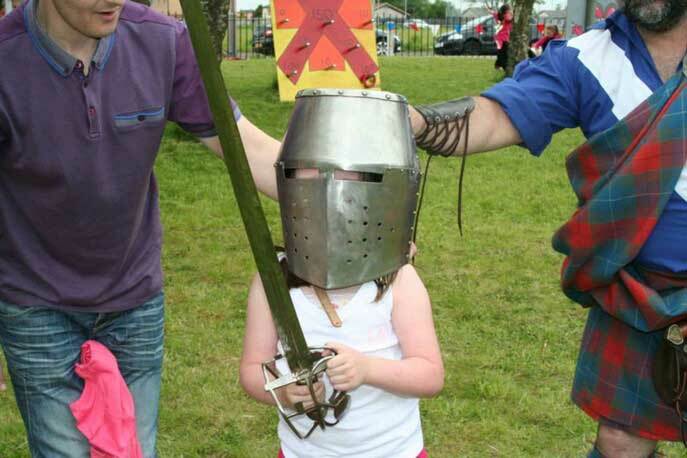 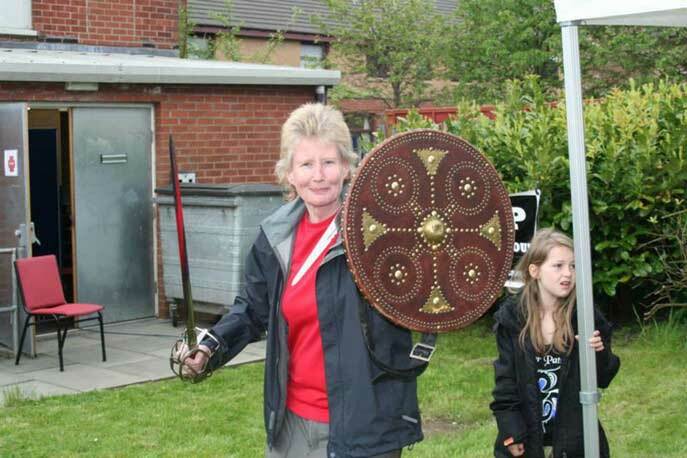 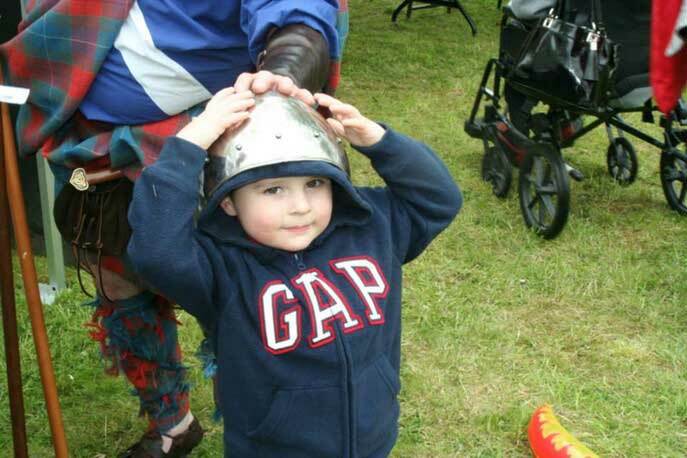 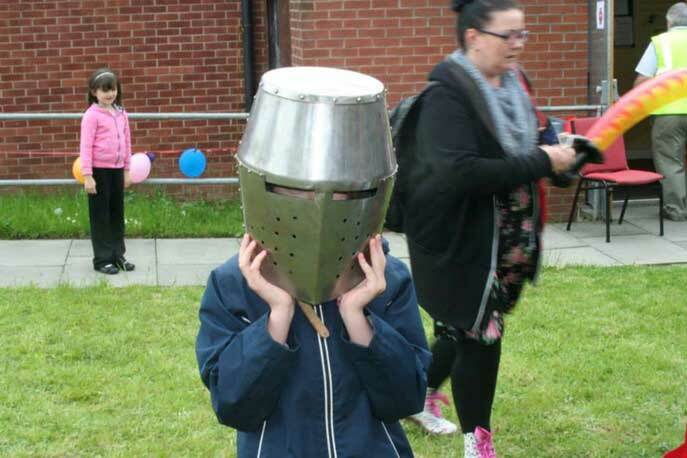 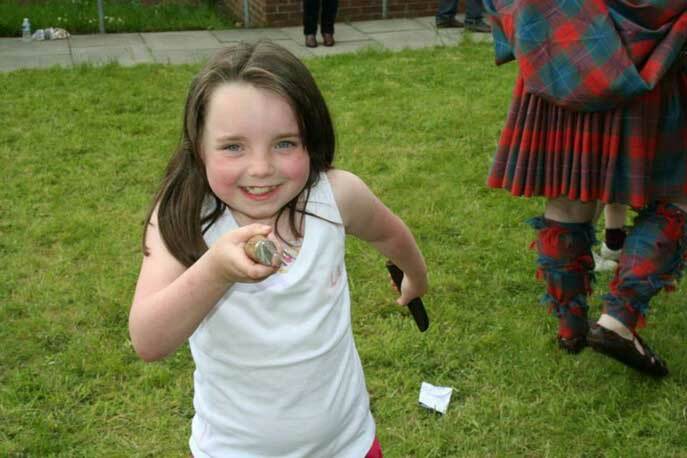 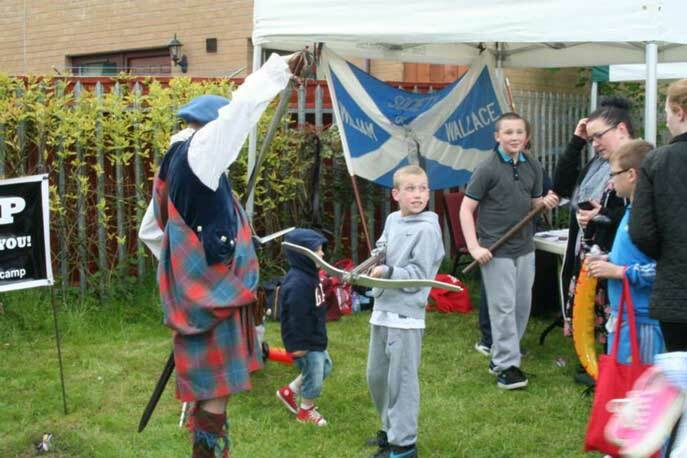 Lots of fun & great to spark a wee interest in Scottish history in kids & adults alike.